A few hours ago, cosmonauts Gennady Padalka and Aidyn Aimbetov and Danish astronaut Andreas Mogensen came back to Earth on the Soyuz TMA-16M spacecraft, landed without problems in Kazakhstan. Padalka spent just over five months on the International Space Station, where he arrived on March 28, 2015 as part of Expedition 43. 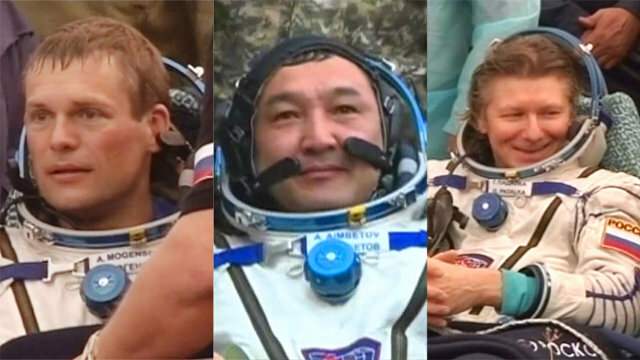 Aimbetov and Mogensen spent only a few days on the Station, where they arrived on September 4, 2015. During the period spent on the International Space Station, the three crew members have been conducting various activities of ordinary maintenance and many scientific experiments. Although two of them spent only a little more than a full week on the Station, they still had time to perform some tasks. Unfortunately, Expedition 44 began with a disappointment for the non-arrival of the SpaceX Dragon spacecraft that was lost due to a problem with the Falcon 9 rocket on June 28, 2015. A few days later, supplies arrived on the Russian space freighter Progress M-28M, in the mission also known as Progress 60, on July 3, 2015. The Japanese cargo spacecraft HTV-5 arrived on August 24, 2015. On August 10, 2015, Gennady Padalka performed a spacewalk together with Expedition 44/45 cosmonaut Mikhail Kornienko to install new equipment on the Russian segment of the International Space Station. The two cosmonauts also conducted a photographic inspection of the outside of the segment. For Padalka it was the tenth spacewalk. With this mission, his fifth, Gennady Padalka accumulated a total of 879 days in space. Four missions were carried out in the International Space Station and one in the Russian space station Mir. It’s the new record for the number of total days spent in space for a human being. Saturday, September 5, Gennady Padalka officially handed over the command of the International Space Station American to astronaut Scott Kelly, marking the beginning of Expedition 45. The crew is already full because the new member arrived along with Aidyn Aimbetov and Andreas Mogensen.